Ho, ho, ho and a bottle of rum! Ahoy, me hearties. Yer friendly app pirate is here and I’m in a good mood ‘cause of several reasons. One me and the crew had loads of treasures that we got from Davey Jones’ locker. Two, me parrot pet was chirpy and happy. Third, this buccaneer found an app that reminded me of the days when I was a little lad. It’s called Tom & Jerry: Mouse Maze and aye, ‘tis about the famous cat and mouse that we watched when we were kids and the kids in this generation as still watching. So avast ye ‘afore we sail and let’s begin this review. Who doesn’t know Tom and Jerry right? The characters themselves already make it a fun game because it makes it a game that everyone could relate to. The popular cat and mouse chase cartoons had been around for years. Adults today must have watched the show when they were kids, while kids nowadays would still know them because the Tome and Jerry show is still around. This is why it also makes this game not just for kids, but for adults who grew up watching Tom and Jerry too as the game would bring back fun memories of their childhood. Just like with show, Tom would be chasing after Jerry again. The goal is for Jerry to collect all the cheese then go back safely to the mouse hole. 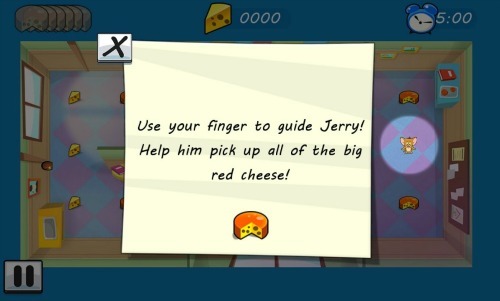 While the gameplay is pretty simple, you may also find it challenging because not just Jerry, but his friends would be there to catch you. Plus, they would also use various traps in order to get you and end the game. The background music is like the one you would hear when watching the Tom and Jerry show. Its familiarity adds to the fun of the game, especially you would feel that you’re a part of it since you’re controlling Jerry. It’s also fun how the characters move because it’s like seeing them when chasing each other on the show. You would also see stars around Tom’s head when he hits the floor while going after Jerry. It’s generally a fun game because it’s something that most people are familiar with. The game brings back good memories to adults who loved watching Tom and Jerry and excitement to the kids who are now watching it. It’s easy to learn but it’s also challenging, especially there are various obstacles and traps that you must avoid in order to keep Jerry safe from Tom and his gang. It comes with advertisements and it also doesn’t have an official app for iOS. This is only available for Android devices as of the time of this writing. 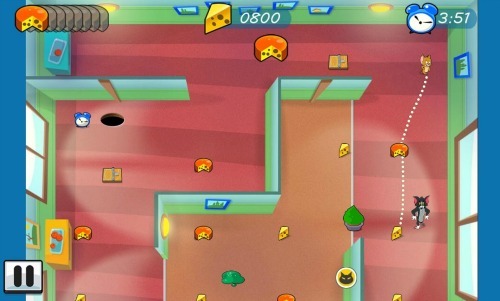 The gameplay could be challenging for kids, but not much for adults. However, it could still interest them because of the familiarity of the characters. If you love Tom and Jerry, it’s recommended that you get this app on your device.